–anxiety, anger, depression, guilt, and low self-esteem. 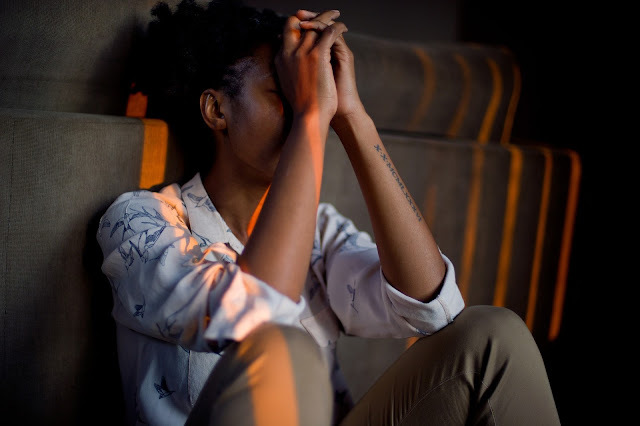 Stress may also originate from within your body and mind due to factors such as fear of the unknown, attitudes and perceptions, unrealistic expectations and sudden change in lifestyle. Having said that, did you know that stress can wreck your metabolism? Stress affects your metabolism in many different ways. Some may gain weight while others may lose. Both cortisol and epinephrine are adrenal stress hormones released during stress partly contribute to these reactions. The hormones gear your body to respond to stress by fight’ or flight’. Cortisol, for instance, taps into your energy reservoirs including proteins, glucose, and fats to supply the body with the energy needed for these reactions. This process leads to increased metabolism and burns more calories. However, while your body is burning more calories as a result of stress, you may end up eating more unhealthy foods to compensate if the stress persists or becomes chronic. Additionally, cortisol breaks down your muscles for energy during prolonged stressful episodes. The loss of muscles may eventually lead to an overall decrease in your metabolism. The dangers of decreased metabolism under stressful situations are well documented. The most obvious outcome is weight gain due to the reduced ability of your body to break down fats and sugars. The weight gain is further accelerated by stress-induced changes in appetite and eating behaviors; stress tends to promote comfort-eating and cravings for sugary and fatty foods. If stress is not managed and your metabolism restored in time, you may end up developing weight gain related healthy complication such as obesity and diabetes. To manage your stress and increase your metabolism in a healthy way, you should consider adding relaxation and exercise in your routine. These are the most effective natural methods for combating stress and stabilizing your metabolism. If you plan to add any vigorous workout routines to your exercise, be sure to consult your physician for the best regime that suits your fitness needs. No one can completely avoid stress; however, you can counteract its effects through relaxation. Relaxation is basically a deep state of rest that is opposite to stress. Learning how to produce a relaxation response helps you lower your stress levels and brings your mind and body back to equilibrium. When you are relaxed, your heart rate lowers, breathing becomes deep and slower, your muscles relax, your blood pressure stabilizes and your anger and frustrations are significantly lowered. Luckily, most relaxation techniques are pretty simple and can be practiced almost anywhere. The most common relaxation techniques include meditation, relaxation breathing, massage, listening to music, laughing, among others. In addition to relaxation, exercise is another way of alleviating stress. Exercise has been shown to release endorphin's –which are chemicals that fight stress. Exercise also helps you get your minds off your problems and also clears your mind. Researchers have also established that exercise reduces fatigue, improves alertness and concentration, and enhanced the overall cognitive function. This is very effective in restoring your energy levels and focus that has been depleted by stress. Some of the best stress-relieving exercises include yoga, swimming, running, gym workouts, dancing, martial art, pilates, team sports, and almost any light aerobic exercise. Consider combining relaxation techniques and exercise for quick and effective results on your stress relief and get your metabolism up. Discover unique diet and exercise strategies designed to help optimize metabolism Click Here!